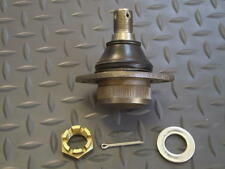 Corresponds to : Land Rover part ANR1799 / RHF500110. Land Rover Defender. Suitable for : all Land Rover Defender Models 1983 onwards to present. Contains: 1 x Ball joint. AUSTIN / ROVER Mini. from 1959 to 2000. Can't find what you're looking for?. Looking to place a bulk order?. to fit the following vehicles. PARTS >> ACCESSORIES >> UPGRADES >> TOOLS,OILS AND OTHER DIY >> Books Manuals and Gifts DEFENDER SERIES DISCOVERY 1 1989 to 1998 DISCOVERY 2 1999 to 2003 DISCOVERY 3 2005 to 2009 DISCOVERY 4 2010 to 2016 RANGE ROVER CLASSIC RANGE ROVER P38 RANGE ROVER L322 2002 to 2012 FREELANDER 1 1996 to 2006 FREELANDER 2 2006 to 2014 RANGE ROVER SPORT RANGE ROVER EVOQUE. The bracket is cast the highest standard. Kit contents: 1 new ball joint and assembled with bracket. Equivalent to Land Rover FTC3571 (used for reference only). 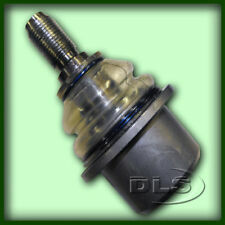 Steering Knuckle Lower Ball Joint - Land Rover Discovery 2, RR. P38 (FTC3571). PARTS >> ACCESSORIES >> DEFENDER SERIES DISCOVERY 1 1989 to 1998 DISCOVERY 2 1999 to 2003 DISCOVERY 3 2005 to 2009 DISCOVERY 4 2010 to 2016 DISCOVERY SPORT 2015 on FREELANDER 1 1996 to 2006 FREELANDER 2 2006 to 2014 RANGE ROVER CLASSIC RANGE ROVER P38 RANGE ROVER L322 2002 to 2012 RANGE ROVER L405 2013 on RANGE ROVER SPORT RANGE ROVER EVOQUE UPGRADES >> TOOLS,OILS AND OTHER DIY >> Books Manuals and Gifts. (SUPERCEDES RTC4198, STC3295 & AEU2761). LAND ROVER DEFENDER. LAND ROVER DISCOVERY 1. 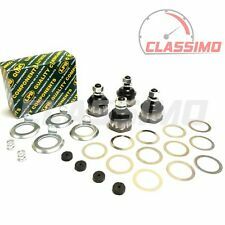 Genuine Bearmach Drop Arm Ball Joint Repair Kit. RANGE ROVER CLASSIC. Part Numbers Upper FTC3570 Lower FTC3571. Range Rover P38. Upper and Lower ball joints. Part No's : RTC5869 & TRE 80R. 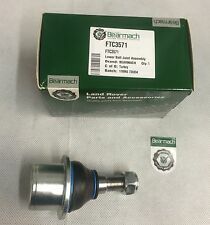 Genuine Bearmach High Quality Components known all over the world for high quality parts. L R Parts Ltd is an authorized Bearmach distributor, we specialize in new Land Rover Spares, stainless steel bolt sets for Land Rovers and general maintenance parts. LAND ROVER SERIES 3 STEERING TRACK ROD TUBE KIT **TUBE LENGTHS 1095MM/730MM/560MM** YOU ARE PURCHASING 3 X TRACK ROD TUBES / 6 X BALL JOINTS / 6 X CLAMPS AND BOLTS PART NUMBERS - NRC132/NRC142/NRC4609/RTC5867/RTC5868/577898 Manufacturers part numbers are used for identification purposes only. **** PLEASE READ OUR WARRANTY, RETURNS DELIVERY TERMSBEFORE BUYING. Equivalent to Land Rover QFS000010 (used for reference only). Range Rover P38 – All model years. PARTS >> ACCESSORIES >> DEFENDER SERIES DISCOVERY 1 1989 to 1998 DISCOVERY 2 1999 to 2003 DISCOVERY 3 2005 to 2009 DISCOVERY 4 2010 to 2016 DISCOVERY SPORT 2015 on FREELANDER 1 1996 to 2006 FREELANDER 2 2006 to 2014 RANGE ROVER CLASSIC RANGE ROVER P38 RANGE ROVER L322 2002 to 2012 RANGE ROVER L405 2013 on RANGE ROVER SPORT RANGE ROVER EVOQUE UPGRADES >> TOOLS,OILS AND OTHER DIY >> Books Manuals and Gifts. Part Numbers Upper FTC3570D Lower FTC3571D. Range Rover P38. 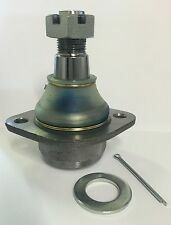 This socket has the required depth to remove the rear upper ball joints on the MGTF which require a deeper socket than those on the front of the TF or the front and rear of the MGF. It can be used for all these joints. Land Rover part numbers for reference : FTC3570 and FTC3571. Wheel Nuts Hi lift jacks & Acc. Tyres Safari Snorkes Defender Parts Discovery Parts Range Rover Parts Wheels Tools Gift Ideas Series Discovery 1 89-93 Discovery 1 94-98 Discovery 2 99-04 Range Rover Classic Range Rover P38 Range Rover l322 Freelander Discovery 3 Defender 90 & 110. Land Rover Freelander 1 New Front Lower Arm Ball Joints. Freelander 1 Lower Ball Joints. Freelander Parts. Land Rover Freelander 1. Series 2 & 3 - Defender 90/110/130, Discovery 1,2,3,4,5 & Sport - Freelander 1 & 2 - Range Rover Classic, P38, L322, L405, Sport & Evoque. Land Rover Range Rover P38 1994 -2001. L R Parts Ltd is an authorized Bearmach distributor, we specialize in new Land Rover Spares, stainless steel bolt sets for Land Rovers and general maintenance parts. QFW000020 Drop Arm. Part Number: QFW000020. Land Rover Defender, 1983 Onwards. Defender Parts. Series 2 & 3 - Defender 90/110/130, Discovery 1,2,3,4,5 & Sport - Freelander 1 & 2 - Range Rover Classic, P38, L322, L405, Sport & Evoque. New Sealey Tools Deep Impact Socket 1/2" Drive To Remove the Top Suspension Ball Joints On The MGTF and MGF. This socket has sufficient depth to remove the front and rear upper ball joints on the MGF but is not deep enough for the MGTF rear joints which need a deeper socket. A new, remanufactired item utilising good quality, replaceable ball-joints. Part Number TF1129. DEFENDER ALL MODELS. RANGE ROVER CLASSIC ALL MODELS. LAND ROVER SERIES 3 TRACK ROD TUBE AND TRACK ROD ENDS **TUBE LENGTH 1095MM** PART NUMBER - 608465 Manufacturers part numbers are used for identification purposes only. **** PLEASE READ OUR WARRANTY, RETURNS DELIVERY TERMSBEFORE BUYING. LAND ROVER Discovery Series II (L318). from 1998 to 2004. Can't find what you're looking for?. Looking to place a bulk order?. to fit the following vehicles. FTC3570A OEM. Land Rover Range Rover P38 1994 -2001. 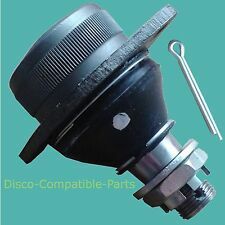 OEM Land Rover Steering Knuckle Ball Joint Front Upper -. L R Parts Ltd is an authorized Bearmach distributor, we specialize in new Land Rover Spares, stainless steel bolt sets for Land Rovers and general maintenance parts. 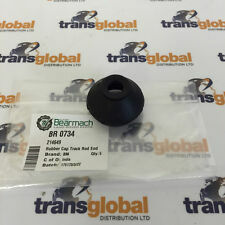 LAND ROVER DEFENDER 110 REAR SUSPENSION SELF LEVELLER UNIT BALL JOINT LAND ROVER PART NUMBER - 575882 All our items are high quality replacement parts. Manufacturers part numbers are used for identification purposes only. **** PLEASE READ OUR WARRANTY, RETURNS DELIVERY TERMSBEFORE BUYING. 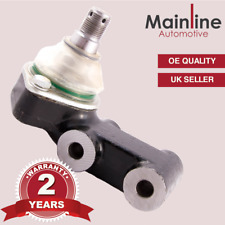 These can help extend the life of your ball joint and help avoid MOT advisory and failure notices. Suitable for : Land Rover Series 2 & 3 Models. Corresponds to : Land Rover parts 214649 / 214685 / 90214684. Add to Favourites. made with love by. PARTS >> ACCESSORIES >> DEFENDER SERIES DISCOVERY 1 1989 to 1998 DISCOVERY 2 1999 to 2003 DISCOVERY 3 2005 to 2009 DISCOVERY 4 2010 to 2016 DISCOVERY SPORT 2015 on FREELANDER 1 1996 to 2006 FREELANDER 2 2006 to 2014 RANGE ROVER CLASSIC RANGE ROVER P38 RANGE ROVER L322 2002 to 2012 RANGE ROVER L405 2013 on RANGE ROVER SPORT RANGE ROVER EVOQUE UPGRADES >> TOOLS,OILS AND OTHER DIY >> Books Manuals and Gifts. PART NUMBER = FTC3571, FTC3570. LAND ROVER DISCOVERY 2, TD5. UPPER & LOWER STEERING BALL JOINT SET. standards are maintained. ROVER 25 200 400. STEERING AND SUSPENSION. LAND ROVER SERIES 2/2A RIGHT HAND DRIVE TRACK ROD SET OF 6 **YOU ARE PURCHASING A SET OF 6** **3 X 608474 AND 3 X 320902** PART NUMBERS - 608464/320902 Manufacturers part numbers are used for identification purposes only. **** PLEASE READ OUR WARRANTY, RETURNS DELIVERY TERMSBEFORE BUYING. 2000 (from suffix B on), 2000 TC, 2200 SC, 2200 TC 1964-75. 3500 1968-75 models. Made with love by. Add to Favourites. (Land Rover Part Numbers : QJB100220 (Right Hand) and QJB100230 (Left Hand). for the LAND ROVER FREELANDER (1996 - 2006). This will slow down the dispatch of your parcel.). Land Rover Defender greasable Rótula Barra De Acoplamiento Kit. 2 X RTC5869 1 X RTC5870. For kit with Steering Drop Arm Ball Joint included, see item No. (263268807424). Fits Land Rover 90 / 110 / 130 / Defender, Discovery 1 & Range Rover Classic. 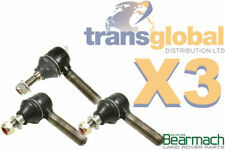 Land Rover Steering Drop Arm Ball Joint Kit. We have been trading in Military Surplus, Collectables and Land Rover Spares for over 22 years and currently have a 6000 sq. ft. warehouse based in West Sussex. Land Rover Freelander 1, All Models. Freelander Parts. Series 2 & 3 - Defender 90/110/130, Discovery 1,2,3,4,5 & Sport - Freelander 1 & 2 - Range Rover Classic, P38, L322, L405, Sport & Evoque. Land Rover Parts. Part Number: DA1129. Defender 90 / 110 & 130 models without self levelling. Discovery 1 models. FREE CARRIAGE APPLIES TO MAINLAND UK ONLY. Range Rover Classic models without self levelling. This item makes changing the ball joint faster and easier. Land Rover Ball Joint Rod End Right Hand Thread . A Top Quality Joint that we have sold for many years, features Phosphate Body, Blacked Pin, Castellated Nut Pin fixing. Fits:- - DEFENDER 83 on - DISCOVERY I 89 - 98 - RANGE ROVER CLASSIC 86 - 94 FITS TRACK ROD DRAG LINK LAND ROVER CORRESPONDING NO. IS RTC5869 Note Track Rod / Drag Link Ends Are Handed With Left Hand Right Hand Threads. Discovery Range Rover have had two combintions using 3 4 Ball Joints depending on Year / VIN number. This listing is for the Right Hand Thread also available as a full kit, please see our other listings. LAND ROVER SERIES 3 GREASEABLE TRACK ROD SET OF 6 **YOU ARE PURCHASING A SET OF 6** PART NUMBERS - RTC5867GR/RTC5868GR Manufacturers part numbers are used for identification purposes only. **** PLEASE READ OUR WARRANTY, RETURNS DELIVERY TERMSBEFORE BUYING. Wheel Nuts Hi lift jacks & Acc. Tyres Safari Snorkes Defender Parts Discovery Parts Range Rover Parts Wheels Tools Gift Ideas Series Discovery 1 89-93 Discovery 1 94-98 Discovery 2 99-04 Range Rover Classic Range Rover P38 Range Rover l322 Freelander Discovery 3 Defender 90 & 110. 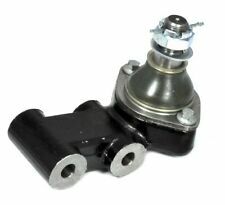 2 x BRAND NEW LOWER BALL JOINT FOR LH RH SIDE FITS: CITY ROVER ALL MODELS 1.4 PETROL 2004-2007. RANGE ROVER Mk 2 - P38A. LANDROVER DISCOVERY Mk 2. Can't find what you're looking for?. Looking to place a bulk order?. to fit the following vehicles.